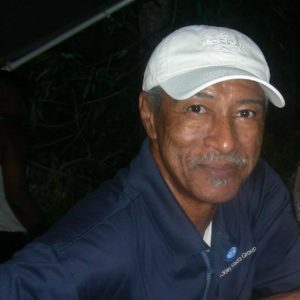 A prominent face and voice of the Virgin Islands was lost over the weekend with the death of dancer, journalist and government spokesman Lee Vanterpool. Vanterpool, 75, died in Atlanta after a lengthy illness. 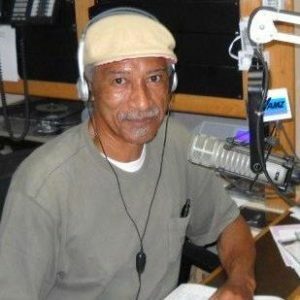 Born Leon Vanterpool on St. Thomas in 1942, his physical dexterity and talent for dance landed him a spot as a limbo performer with the Ken Britton dance troupe by the age of 13. By then Vanterpool was shuttling between New York and his island home. Talk radio host James O’Bryan Jr. recalled their days playing pop hits on the local airwaves. “We were classmates in high school. We were on WVWI. He was the disc jockey on air before me,” O’Bryan said. A few years later Vanterpool was on his way to New York, where he became one of the original dancers with the Alvin Ailey American Theatre in the early 1960s. While in New York the young St. Thomian also studied the arts at New York University. His journalistic passions sprang up in his radio days, when he and brother Mel Vanterpool produced news spots for WSTA-AM. Later on he worked as a TV news anchor for WVGN Channel 10 with co-anchor Aquanette Chinnery. A co-worker from his next career – spokesman for the V.I. Legislature – recalled how Vanterpool’s eye for detail followed him there. “He was a stickler for the English language. He would correct you, never in an offensive way. He was willing to share his knowledge as a writer and a journalist,” said acting Public Relations Director Barry Leerdam. By the mid 1990s, Vanterpool took on the position of public relations director at the Legislature, retiring shortly thereafter. It didn’t last long. His old classmate, O’Bryan, was serving as chief of staff for then-Gov. Charles Turnbull. When a spot as chief spokesman opened up at Government House, Vanterpool got back to work. “When Gov. Turnbull came into office, (Vanterpool) was assigned to the Department of Health, but he worked with us at Government House,” O’Bryan said. As the Turnbull Administration wound down, Vanterpool found time for radio again. He returned to WVWI, which by then was known as Ackley Media Group, to host a Sunday afternoon jazz show. And, although in his later years he moved to the states for health reason, Vanterpool warmly welcomed and chatted with well wishers who called him on the phone. Upon news of Vanterpool’s death, Gov. Kenneth Mapp offered condolences. Mapp held an elected position in the Legislature during the time Vanterpool worked there, writing press releases.